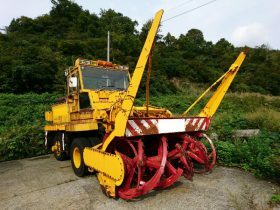 Nittoc is a snow removal and wheeling and heavy equipment sale, which is necessary at construction sites, mainly for wheel loader and rotary snow plows. It corresponds to purchase, rental and lease. If you would like to buy or sell and borrow the used snowplow, used construction equipment, heavy machinery,please feel free to contact us for any requests. 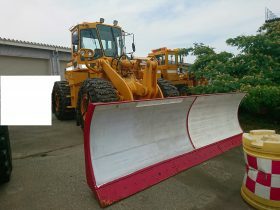 NITTOC Co., Ltd have various wheel loader, snowplow, and other construction machines. We deal with all kind of construction equipment. 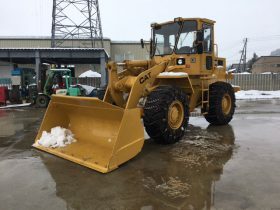 After purchase, we are inspecting and servicing used snow removal vehicles and construction machines handled by our company at our own factory. We do not sell what we bought as it is, since it sells to customers after using it for 1- 2 years after inspection, you can use it safely and securely after purchase. 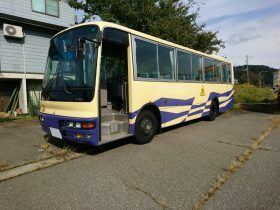 We will release the repair history to your desired customers. We are selling CAT's new car hydraulic excavators and wheel loaders as members of Royal partner of Caterpillar Japan LLC. We have a maintenance factory in our company, we support customer's precious vehicles firmly by legal inspection, maintenance using diagnostic machines etc. 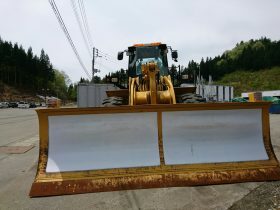 Nittoc have various wheel loader, snowplow, and other construction machines.